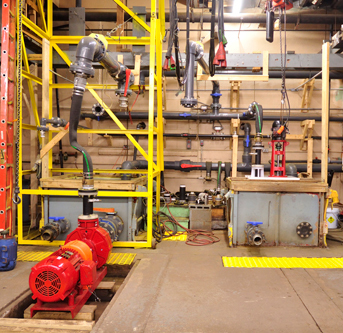 Before leaving the Vanton factory, each and every pump undergoes extensive and rigorous testing to make sure it conforms to the customer’s specifications. This inspection includes a performance test to assure the required Conditions of Service (COS) are met as stated by the customer. These performance tests conform to the Standard for Centrifugal Pump Testing as set forth by ANSI/Hydraulic Institute. In conducting these performance tests, we start by making sure that the desired flow rate and discharge pressure are met without overloading the motor. 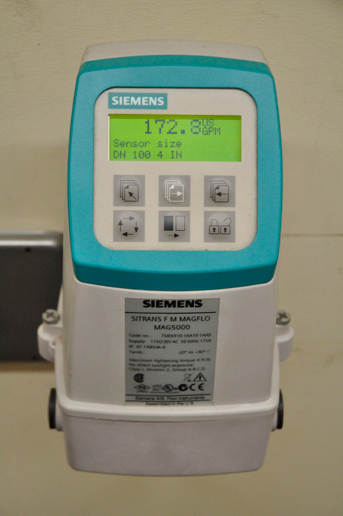 Once COS. is confirmed, the pump’s flow-rate is recorded at points above and below the service condition (click below to view sample performance card.) Motor amperage, volts and power factor are recorded at each flow point and archived for future reference. below to view sample test performance documents) Certified performance curves are also provided as an option. These tests are now being conducted in our renovated, upgraded testing facility using digital electromagnetic flow meters and digital pressure transducers in order to assure accurate and reliable readings to 2 decimal points.